Check out the amazing new fine art sculpture by artist Michael Reeder entitled “For You My Love”, which is making its world debut this weekend at Designer Con 2018! 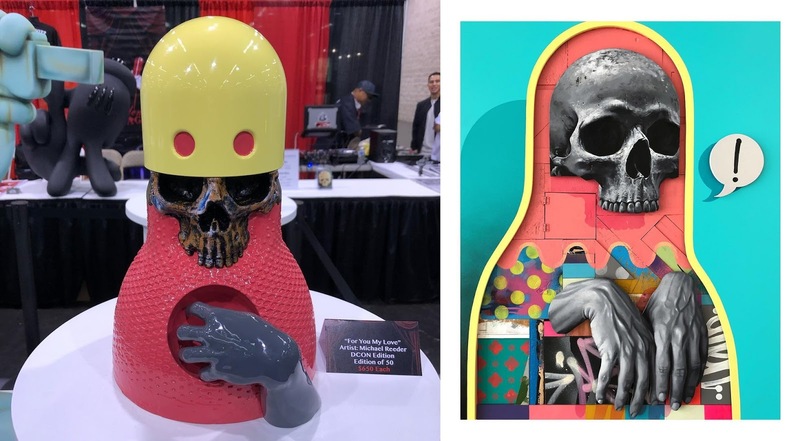 Produced by Silent Stage Gallery, the Designer Con 2018 Exclusive “For You My Love” Fine Art Sculpture stands 12” tall, is limited to just 50 pieces, and features a beautiful yellow, pink and grey color scheme. Collectors can purchase this resin bust this weekend at the Silent Stage Gallery DCon booth #2619 for $650. But that’s not all! Silent Stage Gallery is also releasing a matching “For You My Love” fine art giclée by Reeder! This is an 18”x22” print and is limited to just 30 pieces. This signed and numbered giclée retails for $225.